Selling a house can be tough. Sometimes, we get lucky and a buyer comes along right away. Other times, the house may sit on the market for months or even years. There could be myriad reasons for the house not selling, not the least of which could be its current or former occupants – your cats and dogs. Pet owners love their fur babies, consider them members of the family and ferociously defend them. That’s noble and honorable, but it can be expensive if you’re trying to sell your house. 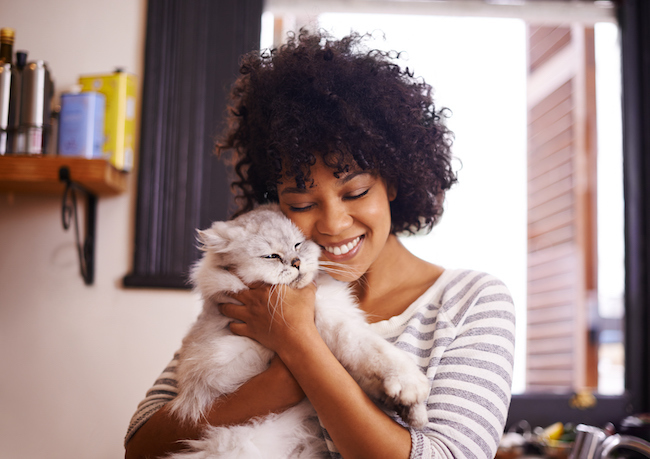 According to a study conducted by the National Association of Realtors (NAR) and published in February, 67 percent of REALTORS® said pet ownership has a “moderate to major” impact when selling a home. How do you keep beloved pets from costing you a small fortune when you sell your house? Don’t panic; there are ways to remedy the problem, or at least blunt the detrimental effects of the former nonhuman occupants. Pet owners become “eye blind” and “nose blind” to the evidence their pets leave of their presence in the house. They don’t notice the scratched walls of the porch or the chewed stair railing. They don’t notice the holes dug in the yard or the bald patches in the flowerbeds. But potential buyers do notice; in fact, many are specifically looking for such things when touring a property. There are steps you can take to minimize the negative impression pets have on potential homebuyers. Most of the steps probably aren’t ways you want to spend your free time, and you may need to hire a professional for some of them, but they’ll help you in the selling process. Having your pets home during a showing is not a good thing. If you’re still occupying the house on days you’ve got a showing scheduled, consider boarding your pets at a kennel. Or, have a friend or relative care for them. Keep cat litter boxes and doggie pads clean and out of sight. The garage might be a good place. Savvy buyers will instantly notice pet stains on the carpets and hardwood floors. This is where hiring a professional to deep-clean the floors might be a good idea. If the stains aren’t removable, replace the carpet/refinish the floors. Pet odors may be problematic. For the stubborn smells, the best solution is a professional ozone company. If you can’t line that up, avoid air fresheners because some people are allergic to these. If you’re going to deodorize the home on your own, try enzyme cleaners instead. Have your home professionally treated for fleas and ticks; if you have pets in the home, you may have these critters in the house. You’ll want to put this at the top of your list, not just for selling your home but for your pet’s safety, too. Repair or replace chewed stair railings and steps, scratched doors and door facings, shredded draperies and scratched window screens or ledges. Repaint anything than needs painting. Fill in patchy flower beds with new plants. Sod or plant grass to cover bald spots in the yard. If your budget allows, consider hiring a professional landscaping service to refresh your lawn and up your curb appeal. It’s come time to show your house. To help remove any lingering odors or pet hair, have your HVAC cleaned by a professional before showing the home. Your state laws may require you to disclose that pets are living in the home, but you aren’t required to display them. Pets or not, give serious consideration to having your house professionally staged before you show it. If this isn’t a possibility, there are steps you can take to de-emphasize the fact that your fur babies have been out and about. If you’re posting pictures of the inside of your home online, don’t include pictures that show your pets. Close, lock and seal the doggie doors. Clean and put away pet food and water bowls. These can harbor unpleasant odors and attract unwanted critters. Vacuum all carpets and rugs, furniture and drapes. Collect all pet toys, box them up and put them away. Tear down the cat trees and kitty towers. Pack them out of sight, out of (the potential buyer’s) mind. Get the pet pictures off the refrigerator door and remove them from the desk, mantle and walls. If you must keep your pets at home during a showing (not recommended! ), put them in carriers or cages and leave a note for visitors to not disturb them. Try to place your pets somewhere other than the kitchen, bathroom or living room. One solution to the pet influence on home value is to preach to the choir. Actively market your home and community as “pet friendly” to appeal to pet owners. Again, according to the NAR study, 61 percent of American households include pets or plan to add a pet to their family soon. Thirty-eight percent of buyers are looking for homes near a walking path, and 33 percent want to buy near a dog park. Cash in on the features pet owners are looking for when they’re in the market for a new home. A fenced yard is important to 91 percent of buyers with pets. Laminate or some other pet-friendly flooring is a plus for 66 percent of potential buyers. Do you have an animal washing station? That’s on the wish list for 19 percent of buyers, and 11 percent want to see a doggie door. The NAR study also found 31 percent of dog and cat owners “often” or “very often” refuse to submit an offer on a home unless it’s an ideal match for their pets. So, play to your kindred spirits! Down Payment Assistance – How Does It Work?